Happy Sunday! 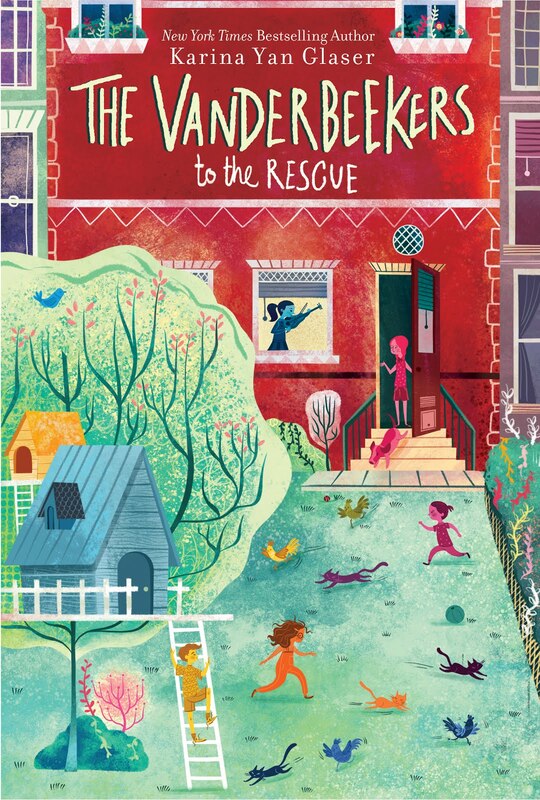 I am THRILLED and EXCITED New York Times bestselling author Karina Yan Glaser dropped by to share the beautiful cover for The Vanderbeekers to the Rescue, the third book in the Vanderbeekers series. I wrote the words in purple, and she wrote the words in black. Thank you, Karina! Isa, Jessie, Oliver, Hyacinth, and Laney are back in a new adventure that takes place six months after the epilogue in The Vanderbeekers and the Hidden Garden. 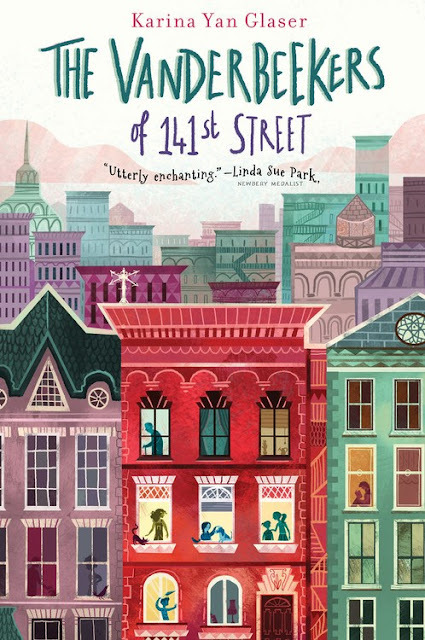 This time, they are anticipating a relaxing spring break in their brownstone. What they do not anticipate is single-handedly destroying their mom’s baking business. Can they fix their mistake before it’s too late? 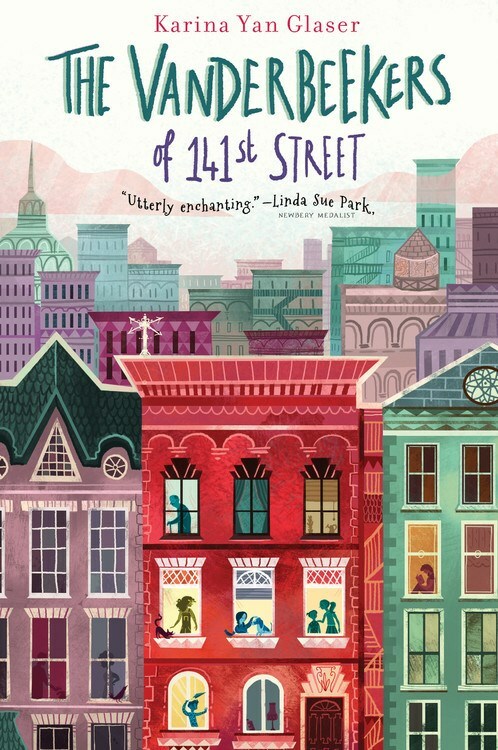 Harlem is not only the Vanderbeekers’ home, it’s where I’ve lived for the past nine years with my family. I love getting inspiration for my stories just by walking down the street. This neighborhood is filled with history, gorgeous architecture, and the friendliest people I’ve ever met. I love living and raising my kids here. Amy Poehler is as nice and cool in person as she is on Parks and Recreation. 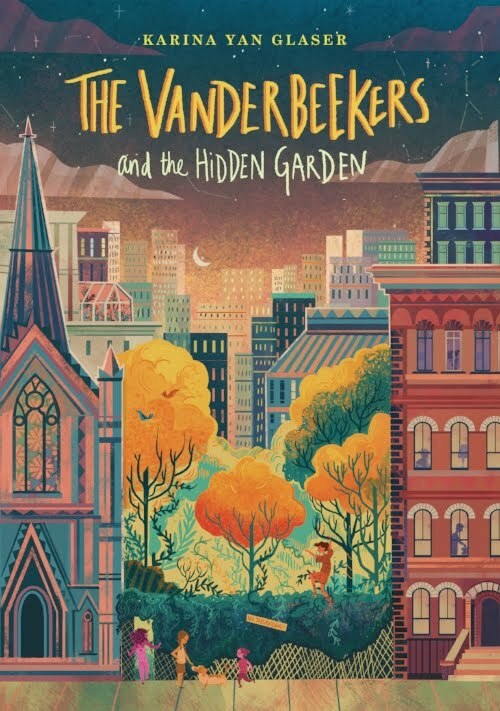 I’m honored that she has optioned the film rights to The Vanderbeekers; she is the absolute perfect person for this project! Mr. Schu, you should have asked me how I felt when we bumped into each other in the middle of Times Square last month! It was a magical moment! Seeing you totally made my week! Look for The Vanderbeekers to the Rescue on September 17, 2019.